On June 15, 2017, Riverside Regional Jail honored and celebrated eight (8) students for accomplishing their educational objective. 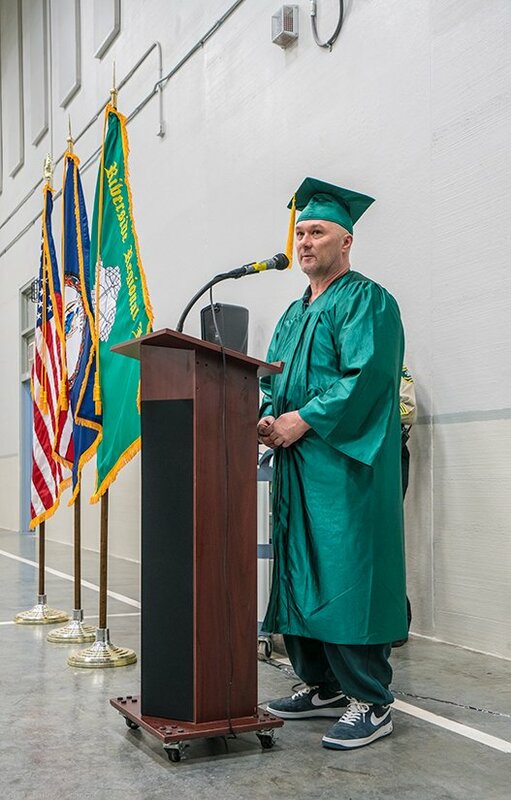 During the Spring Quarter 2017 GED Graduation Ceremony, those eight (8) students were recognized for attaining their High School Equivalency Diploma (better known as the GED). 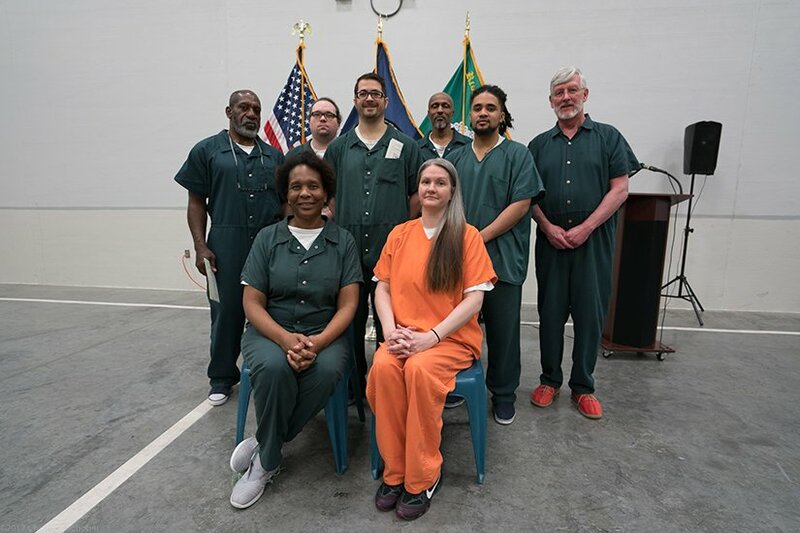 These students studied diligently with assistance from their Housing Unit Teachers and Inmate Tutors. In order to acquire credentialing, each student passed four core subjects with a minimum score of 145. A student scoring 165-174 in any subject was granted GED College Ready status in that subject. In addition, if one passed with a score of 175 -200 they achieved GED College Ready status and earned a College Credit for that particular subject. In this graduating class, Joshua Tresham Achieved GED College Ready status in Science, as did Blake Thompson. David Thompson achieved College Ready status in Social Studies. John Reed earned the highest total score making him our valedictorian for this graduating class. 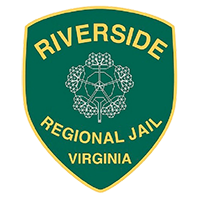 Mr. Reed, also a member of Riverside’s Therapeutic Community Program, stated his gratitude to parents and teachers as well as jail staff for their encouragement and belief in him and his ability to accomplish his goals. Sharing his own incite about the positive changes in his life since his incarceration, Mr. Reed spoke of the confidence infused by other caring individuals and his courage to pursue other important goals in the future. Kudos sir on your first public speaking engagement! Major Bill Wilson gave a very “common sense” keynote address…explaining the increased difficulty in the updated 2014 GED Test Battery over its previous counterpart. He encouraged positive decisions, applauded the success and instilled the importance of looking to the Community College system for certification in various technical fields as well as taking the first steps to a professional career. Colonel Jeffery Newton gave a final charge to the graduates. He reiterated the importance of pursuing educational and career goals after release. He also complimented and thanked the inmate tutors for their diligence in assisting students as they prepared for their GED’s. Thank you Mr. Newton for your support of the Education Program here at Riverside. This school year, the Education Department has had more than one hundred and twenty-five (125) students grace its classrooms. Of those students, sixteen (16) students have passed all the requirements to take and pass the Official GED Test. We are excited about the 2017-2018 school year and the future graduates still to come.